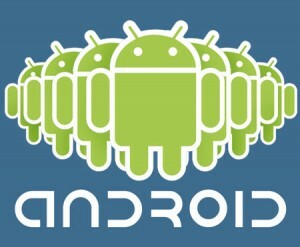 With Android going mainstream, everyone wants to own a smart phone. Besides the truckload of apps that are available there are also cool accessories for phones that will certainly be fun to use and make the experience better. With Seagate’s GoFlex Satellite Wi-Fi portable hard drive one can have their entire movie or TV show collection with them at all times The 500GB drive comes with built-in Wi-Fi and a battery pack so one can sync any phone or tablet with it so one can basically stream movies, music, etc directly on the phone without any conversion. The beauty of this is that it can connect to three devices at a time, so one can watch whatever they want from the same drive, at the same time. This is one of the few NFC enabled speakers in the market and one connect to it by simply tapping ones NFC enabled phone to it and listen to tunes through the speaker. The audio is actually transmitted via Bluetooth and the speaker produces decent levels of bass for its size. Built from an aluminum shell, the speaker is very durable and comes in different colours. The built-in battery makes it portable and can even be paired with another Play 360 for stereo sound. It is not uncommon for people to have multiple phones these days and this handy adapter from Capdase allows one to charge all of them using a single power socket. It’s compact and convenient to carry around, comes with four interchangeable plugs so one can use it worldwide and features four USB ports allowing four devices to be charged simultaneously. Most smartphones — especially Android — are notorious for running out of battery power just when they are needed the most. This becomes a problem when travelling and one does not have access to a plug point. In this scenario, a portable charger can be a life saver. The Belkin Refuel packs in a 4000mAh battery and features two USB ports, allowing one to charge two devices at the same time, including tablets. The battery is very compact and has LED lights to show you the how much charge is left. This is a must-have accessory if one travels a lot and does a lot of work on the phone or tablet. Most of the bundled headsets just don’t cut it when it comes to audio quality. A Bluetooth headset like the Jabra Clipper is an excellent solution if one doesn’t want to deal with wires. The headset features comfortable in-earphones for good noise isolation and bass. This can be swapped for earphones too. The main unit is in the form of a clip allowing one to attach it anywhere and it also has buttons to control music or answer calls. These are great accessories that make usage of a smart phone easier and better ridding it from almost all possible cons. This guest post is written by Jayessh Barodia. He is a big technology enthusiast using the latest in laptops and desktops and likes to keep his data protected through data insurance and data recovery services.